Treating discontinuities at element boundaries is a significant problem in understanding high-order FEM simulation data since the physics used to model the simulation is often continuous. Recently, the family of SIAC filters, especially the L-SIAC filter, has been gaining popularity for its use in postprocessing. 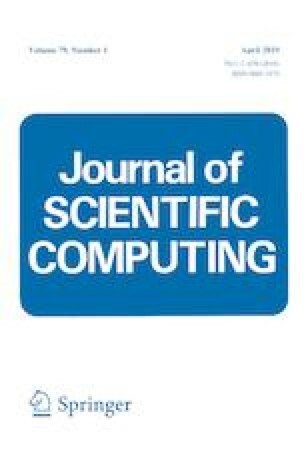 The computational math community, with its focus on improving the theoretical aspects of the SIAC filter, has applied the filter only on simple, fairly uniform unstructured meshes, where the largest element in the mesh is less than or equal to twice the smallest element. In many engineering applications, the unstructured meshes have varying orders of mesh resolution, but there is no literature for adapting the characteristic length of the SIAC filter to address these real-world simulation data. The central contribution of this paper is an algorithm used to calculate the characteristic length dynamically at any point in the mesh. We demonstrate that our approach has a lower error and is computationally faster than using maximum edge length over the mesh. The authors would like to thank in particular the reviewers for their valuable comments and insights; their comments very much helped us improve the paper. The authors thank Dr. Jennifer Ryan and Dr. Xiaozhou Li for their insights and recommendations. The authors also wish to thank Professor Spencer Sherwin (Imperial College London, UK), Mr. Alexandre Sidot, and the Nektar++ Group for the counter-rotating vortex data and helpful discussions. The authors acknowledge support from ARO W911NF-15-1-0222 (Program Manager Dr. Mike Coyle).